What can we say? The weather gods were smiling on us yesterday! (Ok, maybe not the ones in charge of temperature, but at least we didn’t get rained on!) We had a record turn out and hundreds of people showed up to get their bikes repaired, shop the Bike Swap and take part in the Do the Dots survey. 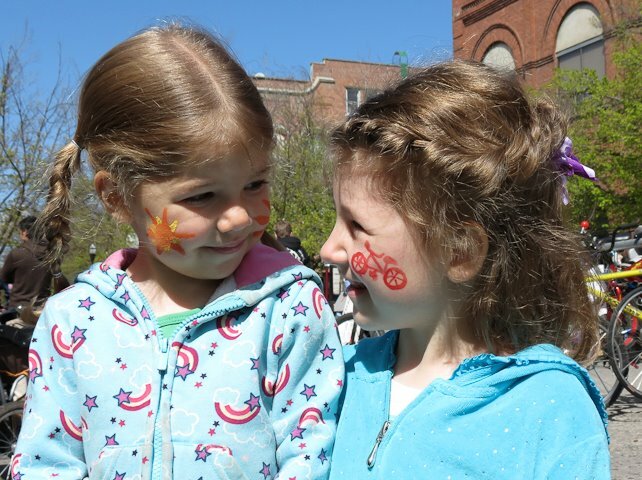 Click here to see more great photos from Bike Fest! Many thanks to all the generous supporters of Bike Fest 2012! Bike Fest could not have happened without the support from the amazing Bike for Life volunteers, the City of Moscow, Palouse-Clearwater Environmental Institute, Gritman Medical Center, Palouse Sprint Triathalon, Moscow on the Move, the Idaho Department of Transportation, UI Sustainability Center and Ride Idaho. The heart of Bike Fest is always the free bike repair offered by local individuals and businesses. 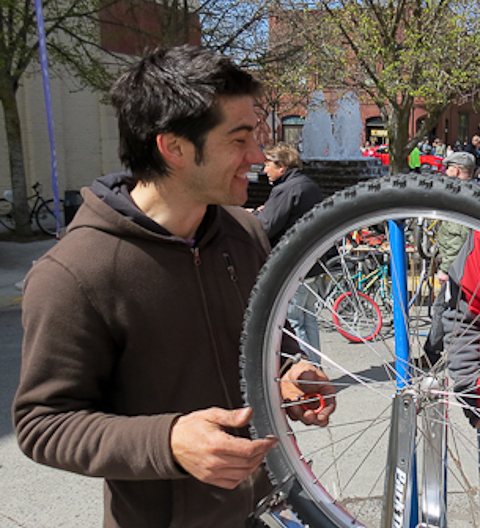 This year the Bike Brothers (Isaak Julye and Emmett Breedlovestrout), Crazy Jon’s Bike Repair, Follet’s Mountain Sports, and Paradise Creek Bicycles repaired over 80 bikes – for free! Special recognition goes to Isaak Julye who got the ball rolling in 2007 and has turned it into a tradition loved by local cyclists of all ages and abilities. Next event: Spoke’n Word this Thursday! 6pm-7pm at BookPeople of Moscow.